I had a short week on my fashionable outfits this week. I was out of town for two days in Los Angeles on business and when I'm on business I typically wear dress clothing for meetings and jeans for travelling on the plane. 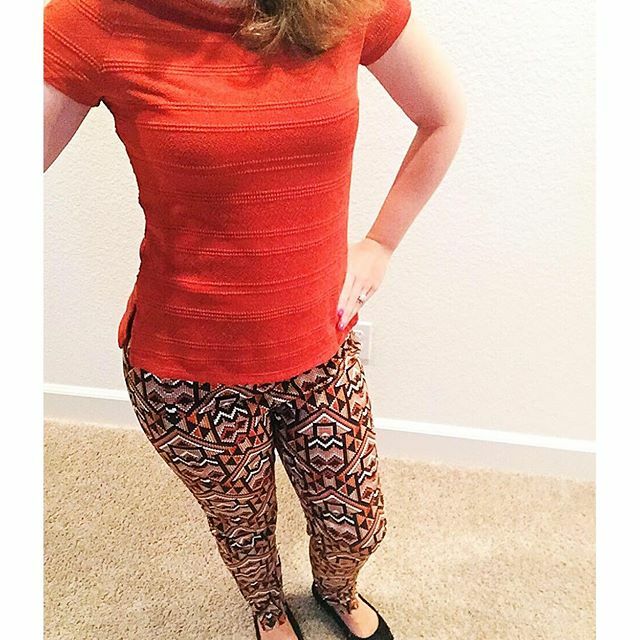 While I was in the office this week, I wore some printed pants that livened up my cubical. These printed pants are festive! I saw them in H&M for only 14.99 and had to have them! They have so many colors in them the possibilities are endless. Depending on what top you pair with them you've got tons of different looks. The pants have orange, peach, brown, white, khaki and more. Their very lightweight so they will be great for summer. These blue printed pants came in my April Stitch Fix. I paired them with my silver metallic flats and casual shirt. They are light weight and fun! The pants feel almost like pedal pushers and make me feel like it's the 1950s. Their very fun and the print in the pants isn't flat so you can feel the design with your hands in the thread. I found these Sailor Pants in store and was so excited! I'm pretty short and these pants made me feel really tall and thin! Their high waist sailor pants and have that vintage look and feel. They are a navy color and go perfect with my burnt orange shirt! Next week I'm going to bust out some new printed pants, casual dresses and new shoes! Who doesn't love new shoes? Sailor pants are so stinkin' cute holy cow!! I need some. Love all of those pants! I always have such a hard time with pants!! Love them all!